The iPhone X is packed with a load of gestures, but there’s one which I absolutely love and is something which everyone should try out if you don’t know about it already. Apple’s move to a gesture-based system on the iPhone X is a work of art in my opinion. Going back to using the Home button seems a bit ancient at this point. I know some of you are going to instantly call me out for saying ‘BlackBerry did it first with their PlayBook’ and I hear you, but Apple has a more refined approach to everything and their gesture-based system does far more in an efficient manner when it comes to day to day use. I know this statement is going to pinch you hard, but devour it. That’s the harsh truth. In fact, these gestures are so good that even Google couldn’t resist implementing them in Android 9.0 Pie, which I believe is a good thing, although I could straight away go on to say it’s a blatant ripoff. I won’t do that, because everyone should know how important gestures are when you are a multitasker and always find yourself switching between apps whenever you unlock your phone. Pressing ‘buttons’ on a display feels unnatural at this point when swipes and flicks give you a sense of confidence. Now, here comes the part which the title baited you into: the best, and my favorite gesture, every iPhone X user should use for jumping into the most recently app used. On an older iPhone, you have to double press the Home button, then tap on the most recent app card shown on the display. On the iPhone X, there is no Home button, obviously. But to get into the last running app, simply swipe right on the bottom of the display right from the home screen, and the last running app will slide right in from the left like the ‘deal with it’ meme. Go on, try it right now and see how it works. 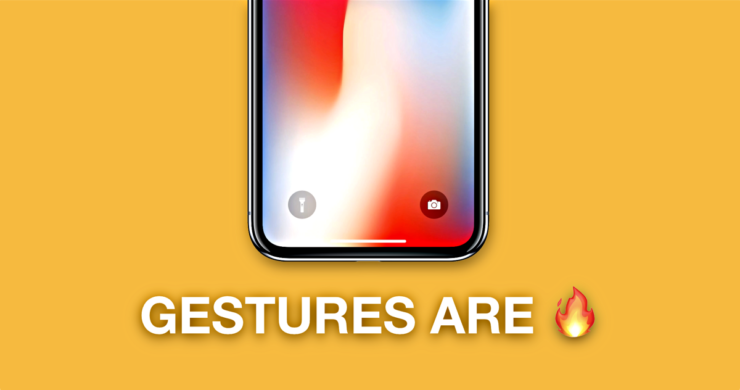 I’m pretty sure many of you out there know about this gesture already since a lot of time has passed since the inception of the iPhone X. To put things into perspective, we’re only a few days away until we are greeted with a new iPhone.